If you have ever used a Leica rangefinder camera, you will pick up the Leica Q and feel something instantly familiar. Its aluminium top-plate and magnesium-alloy body give the camera a reassuring weight. 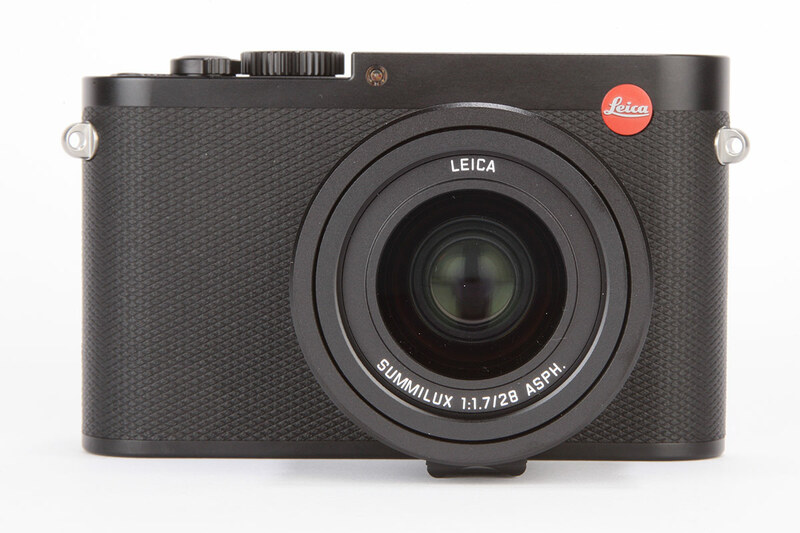 The chunky body and rounded size mimic the look and feel of a Leica M-series camera. As with all Leica cameras, the Q is quite understated. It has a simple matt-black finish on the body, with a textured front to aid the grip. The famous red-dot logo adorns the right of the camera’s body, while the top-plate is flat with the sunken hotshoe flush with the body. A cutaway to the left of the camera is home to a shutter button and shutter-speed dial, both of which are also flush with the body. A control dial and video-record button sit within this cutaway half towards the top of the camera. The rear of the camera also has a simple layout. Five small buttons sit to the left of the screen, with a small directional control on the right. The emphasis of the Leica Q has obviously been on simplicity and design, but it is important that any design is functional – after all, a camera is a tool to use rather than look at. You can often judge what you think of a camera by whether you forget that you are reviewing it and just enjoy using it. This is what happened when I was using the Leica Q. With the sensitivity set, the metering on evaluative, the autofocus turned on and the camera in aperture priority mode, I just started shooting. After a few hours something interesting happened. I noticed that I had gradually turned off most of the automatic features and was focusing and exposing all my shots manually. This is something that I tend not to do. I do it as part of the testing process, to see what the camera is like in these modes, but with the Leica Q it was different – it was instinctive. The explanation for this sudden switch to manual is all to do with the handling. It just feels right to operate the Leica Q in this way, and that is down to the sum of its the parts. You expect the camera body to be straightforward and refined, but it is the features you wouldn’t expect from Leica that make the Q shine. This may seem like blasphemy to some, but it is the EVF that makes the Leica Q. With such a high resolution, the EVF is the closest thing to using an optical viewfinder that I have used. When manually focusing the lens, the slightest turn of the focus ring presents a magnified view in the electronic viewfinder window, or on the rear LCD screen. As the resolution of the EVF is so high, you can see when the tiniest of details are in focus. What’s more, the standard Leica focusing lever on the underside of the lens makes manually focusing easy. This combination makes the Leica Q one of the best cameras to manually focus that I have used in a long time. While the key exposure features are accessed on the body of the camera, you do need to go into the menu system of the Leica Q to change some of the more advanced settings. The layout of the menu is straightforward, with all the menu settings placed in a long list. It may not be the most advanced set of menu settings, but in keeping with the principles of Leica design it contains enough features to tweak how the camera operates but isn’t excessive. Comparisons are often made between Leica and the electronics giant Apple. This is somewhat fitting, as the best way to describe the way the Leica Q handles is that ‘it just works’ – a phrase that is often said at the launch of Apple products.